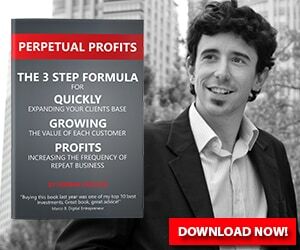 In this video you'll find out the two main strategies to develop your business. Set up a process: Imagine yourself out of the picture for a moment and try to enumerate all the tasks and steps to create a process. It's a hard word that will pay you for years to come. And it'll definitely be a relief when hiring new employees. Unplug yourself from daily tasks: By switching off the computer, or 30 minutes per day, to write down the tasks that you're doing, and projecting for the next 5 to 10 years. Go to events, they usually help you to unplug from the daily grind and they will give you perspective on how to grow your business moving forward. So, I suggest to start implementing these two strategies. They’ll help you to organise and develop your business efficiently, and you’ll definitely, scale to the next level. Also, learn how to create a good Outreach Strategy. Everybody, and I'm Vazquez here. For the past seven years, I've been dedicated to helping business owners and entrepreneurs, getting more sales, and leads through the use of paid media online, like Facebook ads, for example, and email marketing and cell phones. And, you know, a lot of business owners come to me, because they're kind of pivoting. They're, they're switching from growing their business to actually wanting to, you know, scale it, what I mean is that they've been focused on developing a great product, or a great service that people want, and they have bounded, they have developed it, and then things are great, they're moving forward. But now they're kind of pivoting, right, there's a different skill set that you need to have from, you know, selling your product, or creating a good product to scaling your company, there's two different skill set. So a lot of business owners come to me because they have achieved face one, as I like to call it phase one, which is developing a product or service that people want to buy, right. And they have, you know, maybe 200,000, 300,000, $500,000 worth of sales for you year. And that's awesome. And they reached that point. And that's great. But now they're feeling a little bit stagnated, right? Because the reality is that they've been doing everything themselves. And now they're feeling, you know, kind of overwhelmed how to scale and whatnot. And then some other business owners that come to me, they're just scared or worried, has been working for them to get them to did stage will not help them to get them to the next stage. So one of the things that I always do when they come and join a really small coaching program that I have is to develop for them a 90 day plan. And on these 90 day growth plan, that's the name of the plan on these 90 day plan. We asked them a bunch of questions, like, for example, how much revenue generated What are your base best campaigns? What does your team look like? Do you have a list? How are you following up with these list and whatnot. So we make a really in depth, you know, analysis of their stats of their business, what's going on with their business, and whatnot. And then we find a couple of nuggets, like, for example, campaigns that were we really want in the past, but they have been shut off not because, you know, they wanted to shut up, but maybe because of overwhelm, right, or maybe because of fulfilling, maybe they didn't, they didn't even know that those campaigns for that well, so we go all through that we make that process and we delivered a lot of value, you know, to each coaching and consulting member of that little small group. And the reality is that we found that a lot of members, again, they have proven products or services, in fact, it's kind of a condition that you need to have significant momentum to actually join that group, right. And we found that, and we also found that they have some issues, you know, when it comes to scaling, so we help them do at that point is to actually develop the processes that would allow them to scale. So, for example, I was talking to one of the members of this group, and he has a really cool product, it's a digital Digital Marketer that selling info products and whatnot, he has the bandwidth to actually scale, but he just didn't have the time, right. And he was kind doing everything himself. 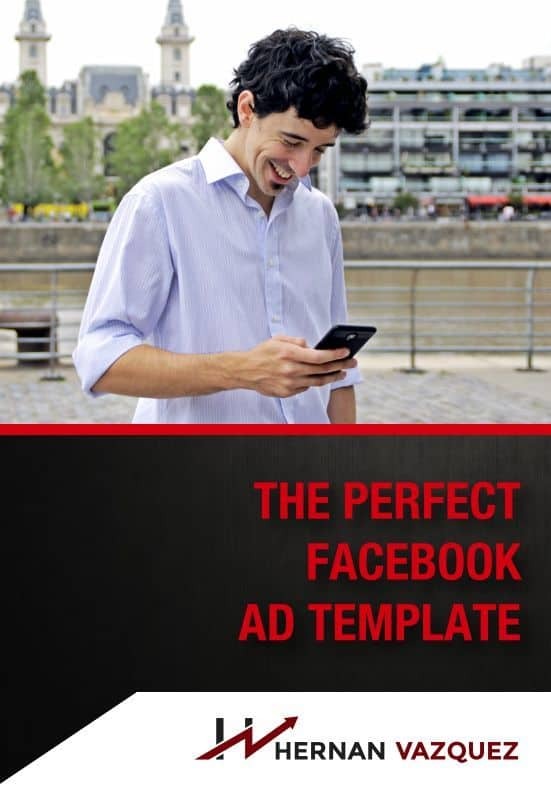 He's really good with Facebook ads that if he came to us, because he was getting most of the cells through Facebook ads, and he was really good with it. But he didn't have a process, he didn't have a process to actually, for example, test creatives over and over again, test images, ads, you know, different headlines, different copy and whatnot. So we helped him by creating that. And also, he didn't have a process to actually know which campaigns for work. So we help them creating those process. It's not only because he wanted to scale if he was like a three to $3,000 per month, and you want it to spend $200,000 per month, he's well on his way to do that, we were helping him doing that, but also because he wanted to hire somebody. And the reality is, that is really, really hard to hire somebody and to, you know, outsource of key tasks and Facebook ads, for example to somebody, if you don't have the processes as to how you would like them first. So that's number one. Step number one is to actually take yourself out of the equation for a minute if possible, and go ahead and develop those processes. It's really tedious it's really hard work, but it's a hard word that will pay you for years to come. And for most of these business owners, step number two is to actually unplug for a little bit of the businesses that's why you know these really small coaching group what I do is to meet with them twice a year right in the US. So, I helped them actually focus and and give them the proven strategies that have been working for me over the past seven years to scout several seven figure companies and advice with nine figure companies because the reality is that it's really hard to keep your business afloat if you're you know, overall the word so if you're drowning, it's really really hard to keep your business afloat. So think about that if you are on the situation right now, if you're in the situation right now, when you have a proven proud of them have a promise service, you have proved that the marketplace want what you have to offer, think about ways of a developing processes for all of the stuff that you are doing that you shouldn't be doing. Because you should be focusing on growing your team, your you know, your operations and whatnot. And then think about ways how you can unplug whether it is like, you know, switching off the computer or 30 minutes per day and actually writing down the tasks that you're doing, actually projecting for the next five to 10 years and that type stuff and actually going to events events usually help because they help you unplug from the daily grind and they will give you perspective on how to grow your business moving forward. So I hope this helps. If you want to know more about this little small, really exclusive private Consulting Group, just type consulting on the comments below and I'll send more information via messenger. In any case, I hope that you enjoyed this content. If you do, feel free to share with somebody that needs to see this. see you really soon.